“Musical Director Lorin Maazel, in conjunction with the Audition Committee of the New York Philharmonic, having not been able to adequately reach a consensus on a single candidate for the current Principal Clarinet vacancy, and in order to have a successful 2009-2010 season, have mutually decided to offer the position of Acting Principal Clarinet to 10 (ten) prominent clarinetists, on a rotating basis, each playing with the New York Philharmonic for a one month period. ”The 10 (ten) clarinetists chosen all currently hold principal positions in their respective orchestras and the New York Philharmonic will employ each for a one month period at the salary and benefit schedule currently in place for permanent members of the New York Philharmonic Orchestra. ”After all contract details and respective appropriate leave of absences have been finalized, the formal announcement of the 10 (ten) clarinetists who have been selected will be forthcoming, not later than June 30, 2009, with employment for the first candidate to begin on September 1, 2009. 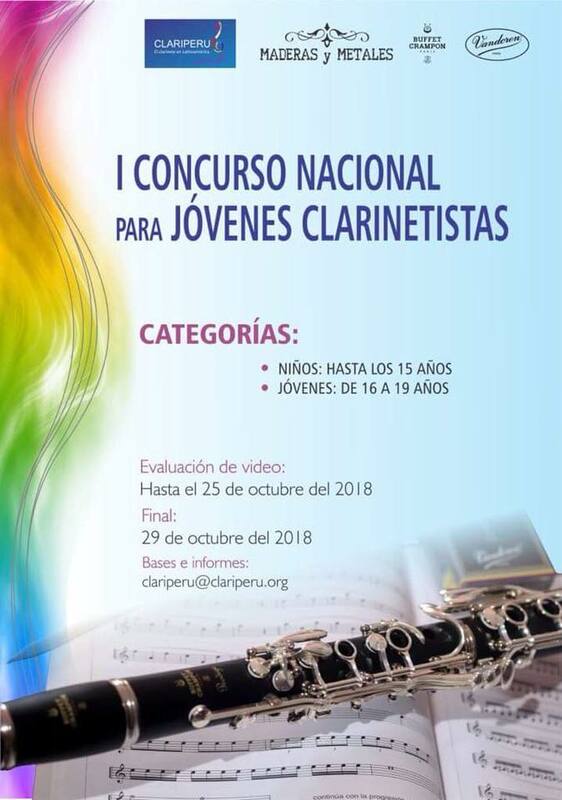 ¿Quiénes serán los 10 clarinetistas? Ya los foristas y blogueros de Internet empiezan a lanzar sus nombres. Antes que yo diga mis opciones ¿ustedes qué opinan? Por qué será que no encuentran 1er clarinete? será que les parecen todos muy malos? O son todos tan buenos que no pueden decidirse? Quién tiene idea de como se manejan estas cosas? La verdad tampoco entiendo. Estoy seguro que todos deben ser muy buenos y seguro que una vez tomado el papel, la exigencia sera mayor lo que hara que sean incluso mejores. No comprendo.